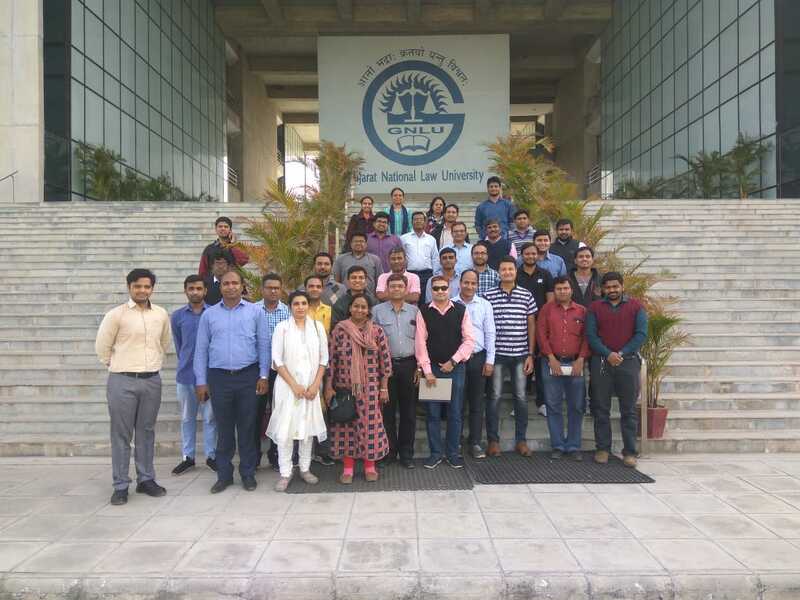 Student Startup and Innovation Policy (SSIP), Government of Gujarat conducted Faculty Development Programme for Educational Institutions across Gujarat for setting up Incubation cell at their respective Institutes. The programme was conducted at EDII,Gandhinagar. During this event, the faculty participants visited GLIC centre to know the working of well-established Incubation centre. A brief introduction was given to them about the Physical set up, startup eco system at GNLU and variety of events carried out by GLIC frequently. Participants also get to know about the students currently incubated under the scheme and their working.